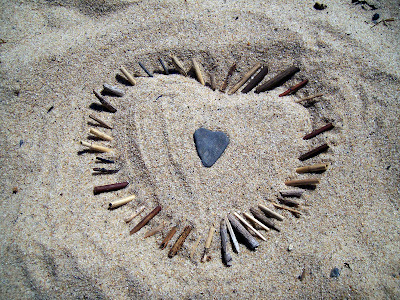 I found this heart shape rock on the beach in Provincetown,MA-it needed protection. So I built a fortress of dry reed. Stroll by "The Artful Eye"
And this? Regular people would have takent he rock in their pocket. You made a journal-esque cool photo instead! You're awesome! !